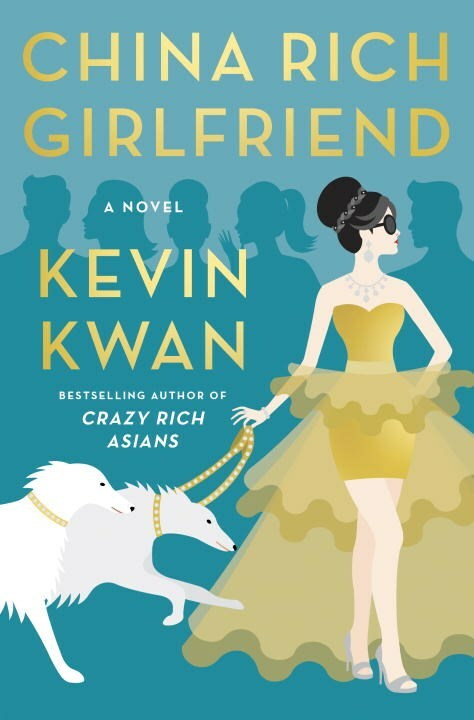 Those Crazy Rich Asians Kevin Kwan introduced us to in 2013 are back! When last we saw the Youngs, Nick and Rachel had just gotten engaged (much to his mother & grandmother's chagrin); Michael and Astrid were celebrating his company buyout; and Eddie and family continued to grace society pages with their impeccable dressing from head to toe. Nick & Rachel and Astrid & Michael are back, but Eddie is solidly a third string character. There's little to no mention of his family and his appearance merely serves to remind us of just how ridiculous and pompous someone of his status in life can be. And though Nick and Rachel are a focal point of the book, they take a backseat to a new character, Colette. Thanks to social media "stars" like the Kardashians, we're all familiar with how a talentless hack can rise to the top of society with the help of Twitter, Instagram and a few well placed pictures (or videos). To say Colette Bing is China's answer to Kim K. would be an insult to Colette. Her father is the third richest man in China and the world is Colette's playground. She is, indeed, the China rich girlfriend who is at the center of the world wind that is this book. Rachel's search for her birth father leads her to China (thanks to Nick's overbearing & meddling mother) where she becomes acquainted with her nearly identical brother, Carlton, just one of Colette's many suitors. When Rachel and Nick get caught up in the chaos of Colette's life, they (and readers) are exposed to an even more extravagant lifestyle than witnessed in Crazy Rich Asians. Where Nick's family members tended to hide their wealth, Colette has no problem flaunting it. I couldn't even begin to keep up with the brands, places and names that Kwan dropped throughout the book as he detailed how and where these people spend their money. I like that Kwan takes the time to give us footnotes about the phrases the characters use. While that probably plays well in print versions of the book, footnotes in ebooks are compiled and shown at the end of each chapter, making it difficult and time consuming to figure them out while reading. It disrupts the reading flow, but not enough to stop reading. Like he did with Crazy Rich Asians, Kwan doesn't tie up everyone's story line with a nice neat bow, leaving room for another sequel. I, for one, would love a follow up to find out how Rachel's relationship with her new family plays out and how the story line for Kitty Pong, a minor character that becomes a major character, plays out. Her transformation by Corinna Ko-Tung was almost Pygmalion comes to China and I'd really be interested in a book about Corinna getting her Henry Higgins on. Two years ago we were told screen rights had been optioned for Crazy Rich Asians, but nothing else has been said about a movie. Rather than that, I would prefer a network TV summer series that combines both books. It would definitely hold my interest much more than some of the other summer series networks throw our way. Trust me, if you were a fan of Dynasty or Dallas back in the day, you'll love China Rich Girlfriend.